The first phase of a multi-million-pound housing development in Armagh has been given the green light by planners. 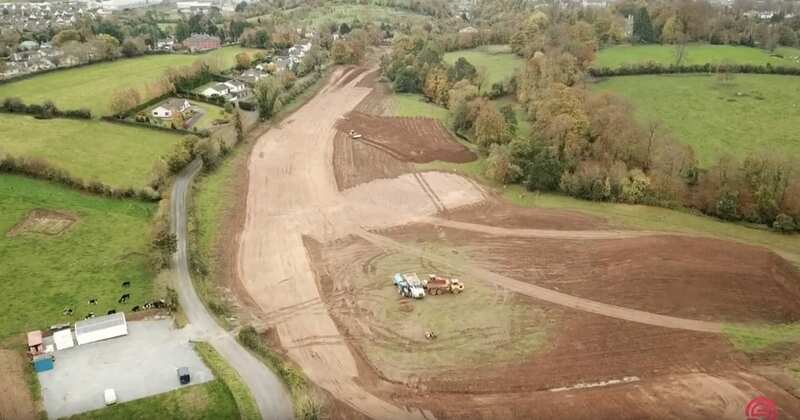 The ambitious plans at Mullinure could see up to 350 new homes being built with construction work to begin imminently, now permission has been secured. This first stage consists of a total of 55 homes – 50 semi-detached and five detached – under the working title of ‘Deanery Demesne’. It will sit south of the old railway line – and adjacent to the potential new £30 million Armagh Leisure Village. 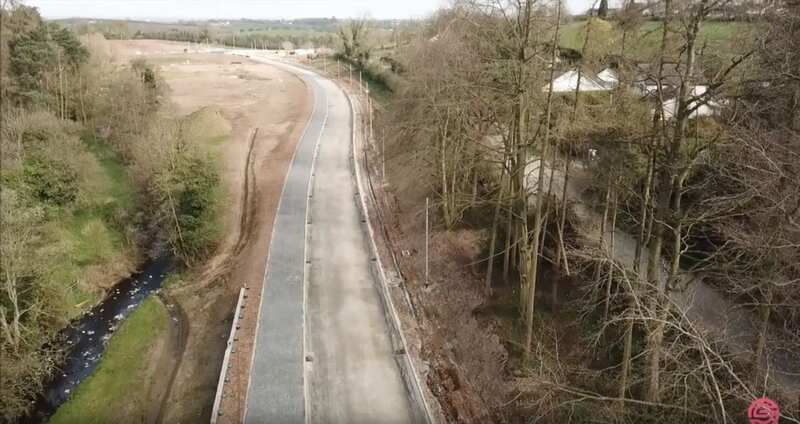 Work on the link road at Mullinure Lane has already begun, which is three months ahead of target, with estimates placing the completion of that in around September. The first houses are expected to be ready before the end of the year, with an early November date muted by the developers. Hannath Estate agents in Portadown are the selling agent. Managing Director Alistair Glass told Armagh I, of his and the company’s delight at being able to market such an exciting development in the heart of Armagh. “This is a major development, and one which will be great for Armagh City,” said Mr Glass. “It has been a long time coming but we are so excited to finally get going and we look forward to seeing it come to fruition. 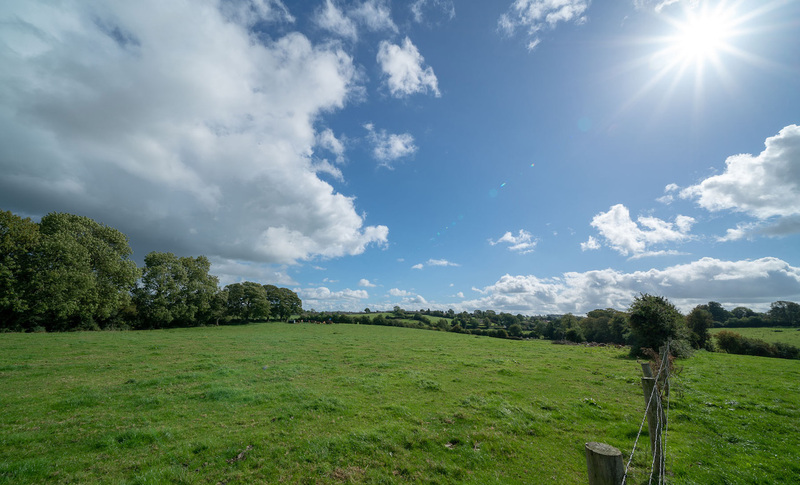 The expansive site in question is currently described as “agricultural land”, sitting immediately west of numbers 1 to 11 Mullinure Lane and on land extending on both sides of Mullinure Lane, immediately south of the disused railway line. It also is less than 250 metres from Sperrin Park Armagh. Access to the site will be off the main Portadown Road. The houses would be “responsive to the design and characteristics of the site and its settings” and “mature trees and existing hedgerows” will be “retained and incorporated” into the scheme. The design and form of buildings and materials used would be “visually compatible with adjoining properties and the neighbourhood”. The development is overlooked on a hill by the Deanery – owned by the Armstrongs – described as a ‘classic period rendered Georgian House’. And it is that “timeless quality” and influence of Armagh’s famous Georgian architecture which would “inform the design aesthetic” of these homes, to be designed by award-winning architects, KCA. 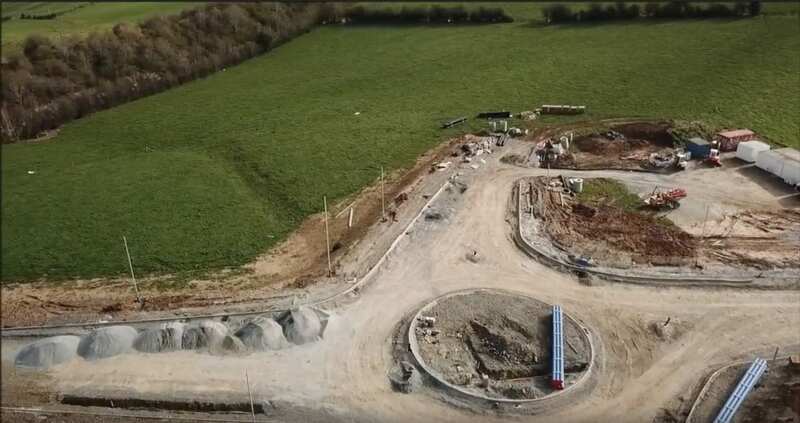 The new development will include a new internal roundabout to act as a “gateway into the heart of the new housing area”. Most homes will have a private driveway, to accommodate two cars, with the potential to build garages. The statement confirms that the intention is to build up to 350 houses across the entire site – with this application for 55 just the beginning. It adds: “The access and road improvements have planning permission with construction due to commence imminently. This will ensure that the infrastructure is in place to support the housing development. “The application site is part of the full comprehensive masterplan for the site.